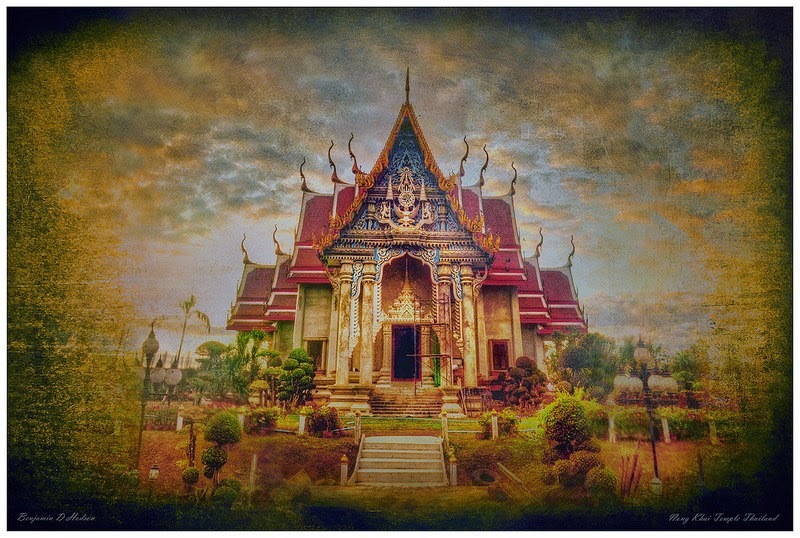 The photograph (above) was taken at a temple under construction in Nong Khai Province, Thailand. Note: The temple complex is situated just shy of the Laos-Thailand border crossing Nong Khai, in close proximity to the friendship bridge that links Laos and Thailand over the Mekong River. For the large majority of people Thailand is a holiday destination. It has a warm tropical climate and short monsoon season. Tourism is localized in regions that border the Andaman Sea and the Gulf of Thailand, with inland mountainous destinations such as Changmai often more appealing to tourism over areas like the central plains and Khorat Plateau. Nevertheless, large areas of Thailand are still worth exploring. With a predominantly Buddhist population, Thailand offers an abundance of temples and religious sites, as well as industrial and agricultural centres with little or no western tourism. My current project gives me a first-hand look at these areas; A first person account of some of the more interesting places encountered in regional Thailand. By putting aside the glossy travel brochures and venturing into the often lost and forgotten regions, one is able to build a better picture of Thailand and its socio-political and economic landscape. Questions? If you have any further questions about this article or would like more information on urban tours of Thailand by motorcycle, please feel free to contact me using the details provided.